THE Government beat its budget deficit target last year, official figures show this morning. The gap between how much the state spends and brings in through taxes and other revenue narrowed to 7.2pc of the value of the economy – fractionally better than the 7.5pc target. It was an improvement on the 8.2pc figure recorded in 2012, according to the Central Statistics Office (CSO). Government debt rose to 123.7pc of gross domestic product (GDP) during the year, up from 117.4pc in 2012. Gross government debt stood at €202bn at the end of last year. 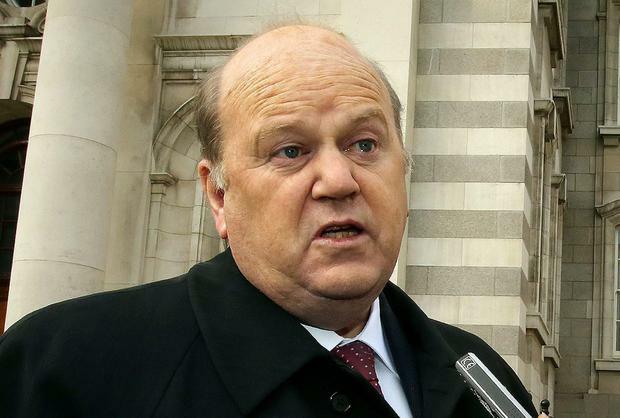 Finance Minister Michael Noonan said 2013 was the third consecutive year that Ireland has performed ahead of target. “Today’s statistics highlight the progress that has been made in restoring order to the public finances.